Herb and spice extract tend to impart more desirable flavor components of spices and herbs in packaged foods. Not only this, herb and spice extract offer a more consistent flavor than that offered by fresh or dried herbs for these foods. Herb and spice extracts are easily miscible. They can blend where plain spices and herbs are unable to, and thus meet the taste expectation of consumers. Herb and spice extract is obtained by distillation of core ingredients. Herb and spice extracts are primarily categorized into essential oils and oleoresins. Herb and spice extract in the form of essential oils are mostly obtained in two ways, either by distillation or can be expressed from fruit, seed, root, stem, or leaf of a plant. Herb and spice extract feature some notable virtues. They capture the complete aroma of herb and spices cast as highly concentrated volatile compounds. However, due to lack of nonvolatile constituents of core ingredients, herb and spice extract lack complete flavor of the same. The amount of volatile constituent of herbs and spices range from 0.4% to 15%. For example, basil among a range of herb and spices contain a low 0.4% volatile compound element, whereas nutmeg contains the highest 15% of volatile compound constituent to be on the other extreme of the spectrum. Herb and spice extract can be combined in one or more ways with foods. They concentration of herb and spice extract can be adjusted to solubilize their natural flavor in any food. 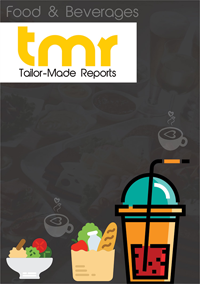 The research report offers a detailed overview of the global herb and spice extracts market. The key segments, region outlook, product portfolio, applications, and the competitive landscape of the global market have been discussed thoroughly in the scope of the research study. In addition to this, a list of the key players that are operating in the global market has been mentioned in the scope of the research study. People, across the globe are making use of herbs and spices in their food products, which has accelerated the market growth. The increasing cases of life-threatening diseases, including heart diseases and cancer are advised to make use of particular herbs and spices, thanks to which, the global herbs and spices extracts market is likely to generate promising growth opportunities for the key players operating in the market across the globe. Herbs and spices are majorly used in different in food and beverages, personal care, pharmaceuticals, and others. The increasing number of applications and the rising awareness among consumers regarding the benefits of consuming herbs and spices are further projected to accelerate the overall growth of the market in the next few years. The marketing and advertising activities carried by the leading players are projected to accelerate the growth of the global herbs and spices extracts market throughout the forecast period. The global market for herb and spice extracts market has been classified into North America, Latin America, the Middle East and Africa, Asia Pacific, and Europe. Among these, Asia Pacific is projected to emerge as a leading segment in the next few years. The availability of a large number of herbs and spices, thanks to the predominance of agrarian economy is considered as one of the key factors projected to accelerate the growth of the Asia Pacific herb and spice extracts market throughout the forecast period. Furthermore, Europe is estimated to witness a substantial growth in the next few years, thanks to the rising demand for different types of herbs and spices. The global market for herb and spices extracts is projected to witness a high level of competition throughout the forecast period. Some of the key players operating in the herb and spice extracts market across the globe are Dohler GmbH, Symrise AG, Archer Daniels Midland Company, Firmenich S A, Sensient Technologies Corporation, Ajinomoto Co., Inc., Kalsec Inc., Frutarom Industries Ltd., Givaudan SA, Takasago International corporation, McCormick and Company, Inc., British Pepper & Spice Company, Naturex SA, Organic Herb Inc., Olam International, Synthite Industries Ltd., Kerry Group Plc., International Taste Solutions Ltd., Robertet SA, and Foodchem International Corporation.